If you're disappointed that Apple never released an iWeb update and completely discontinued your favorite website builder, then you've come to the right place. EverWeb is your iWeb replacement, offering a similar look and feel with new features to create more stunning websites. EverWeb works very much like iWeb but creates cleaner, faster and more compatible websites. It also offers new features such as mobile websites, mouse over effects, built in SEO and so much more. Read on to see how to upgrade to EverWeb from iWeb. iWeb was discontinued in June 2011. No major update since 2009. iLife 11 did not include an iWeb 11 update. WHY SWITCH FROM IWEB TO EVERWEB? We know you want a modern website! Now, EverWeb lets you have that. iWeb was discontinued by Apple, and is no longer being updated or supported. EverWeb starts where iWeb left off and gives you all the features you've been waiting for! EverWeb works on the latest versions of OS X and is constantly updated with new features and enhancements. HOW DO YOU SWITCH FROM IWEB TO EVERWEB? Switching from iWeb to EverWeb is simple! 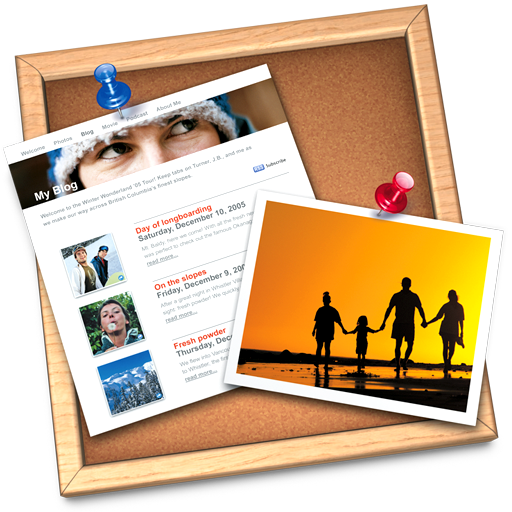 Copy and paste your text, images and more from iWeb or your web browser into EverWeb. You can even import your iWeb blog posts with EverWeb's iWeb blog importer. Watch the video tutorial to see how easy it is to upgrade your iWeb website. WANT US TO CONVERT YOUR IWEB SITE TO EVERWEB? EverWeb is continuously updated with the latest features like slide shows, responsive websites, advanced contact forms, animations and more. Plus you get access to our 24/7 customer support for help whenever you need it! With EverWeb you can easily create mobile friendly, responsive websites that look and work perfectly on iPhones, Androids and all other mobile devices. EverWeb even builds high-resolution retina websites that look extra sharp on your mobile device. EverWeb websites are faster and more optimized than iWeb sites. EverWeb gives you built in search engine optimization tools so you can easily get higher rankings for your website without using any third party tools. ﻿Download EverWeb today and test it out! We are confident you will love it. The 'Download Now' link provides the full version of EverWeb. All features are included. Purchase required to publish. EverWeb comes with a 60-day money back guarantee, so you can purchase with confidence. Not happy with your purchase for whatever reason? Let us know and we will refund your order.